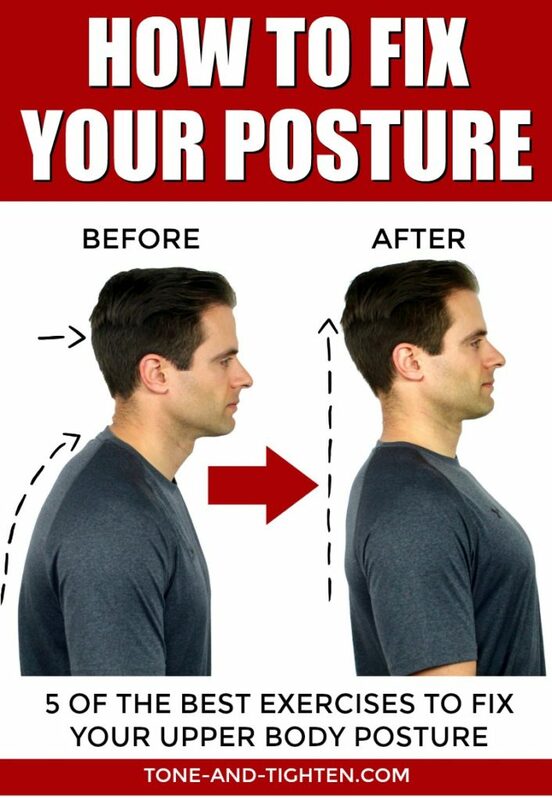 To correct the posture and leave the back aligned is recommended to position the head a little further back, but in addition, strengthening the back muscles is also a good help to keep the muscles strong and the joints aligned with the minimum of effort. 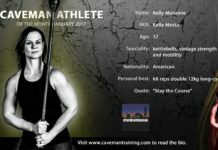 We then indicate a small series with 5 exercises, 3 of strengthening and 2 of stretching, which can be performed to correct the posture. 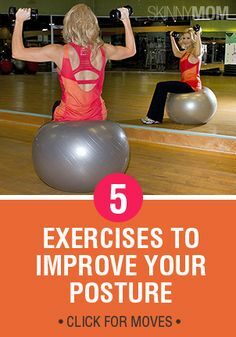 These exercises strengthen the postural muscles forming a sort of natural ‘brace’, which is ideal for maintaining good posture. The first exercise is to lie on your stomach with your arms along your body and then raise your arms and head from the floor, contracting your back as shown in the picture. It is recommended to repeat slowly, 3-5 times. Still lying on his stomach, he should position his hands in the same direction as the head, and should raise the trunk of the floor, keeping his arms straight, looking straight ahead, keeping his neck parallel to the ground and shoulders away from his head. From the previous position, you should keep your hands in the same place, but should sit on your heels, keeping your back elongated. Push your arms against the floor to keep your back as long as possible. Hold this position for 30 seconds at 1 minute. The feet and hands do not leave this position, but you should stretch your legs as much as you can to maintain the position of the pyramid. 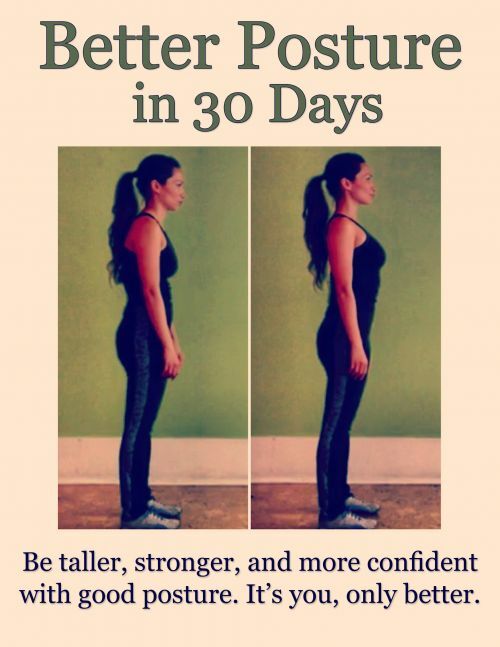 Strengthen your back muscles to maintain good posture, and you do not have to put your heels on the floor.Hold this position for 30 seconds at 1 minute. 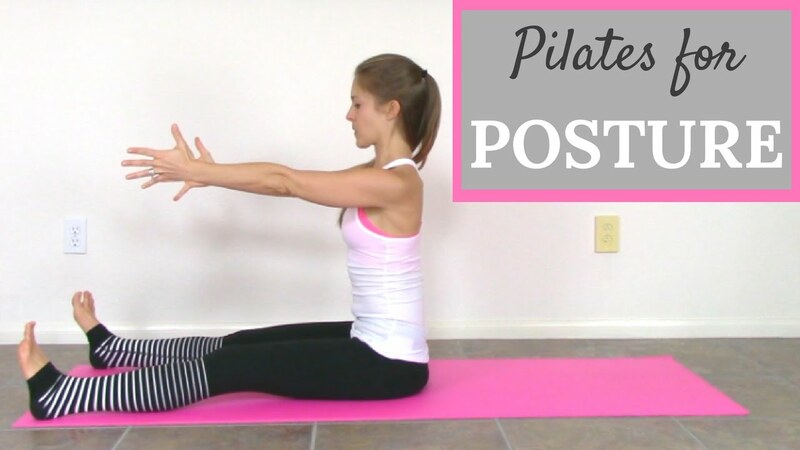 Tummy upwards should position the arms as shown in the picture and raise the trunk off the floor, holding that position for 30 seconds at 1 minute. 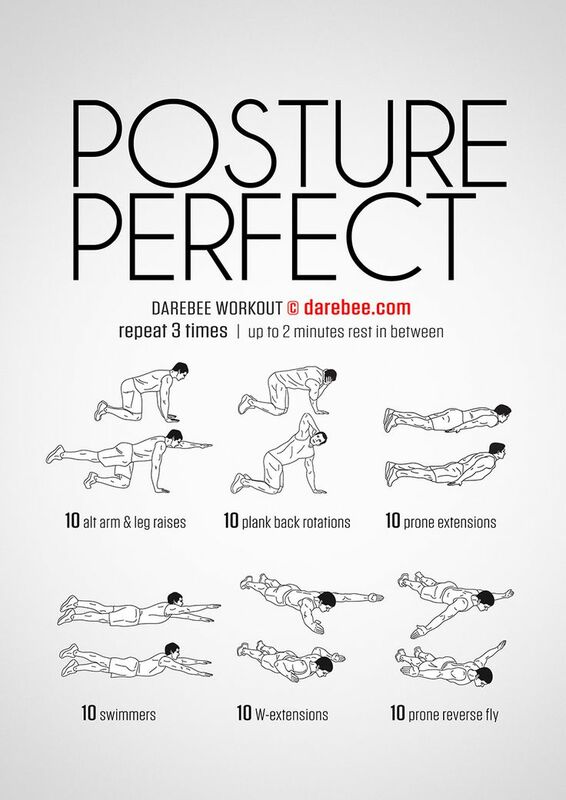 Practicing exercises such as ballet, bodybuilding and riding is also a great way to correct posture. Other good examples are other types of dance, Pilates and swimming because these exercises strengthen the erector muscles of the spine, pectorals, abdominals and posterior region of thigh, that facilitate to maintain the correct posture in the day to day. In addition to bad posture there is back pain or neck pain, or frequent headache, it is advised to consult with a physical therapist because there are treatments like RPG, which is Global Posture Reeducation, which is able to correct all these situations.